Tashkeel, a Dubai based multi-disciplinary studio, work space and gallery celebrated its 10th anniversary this summer. 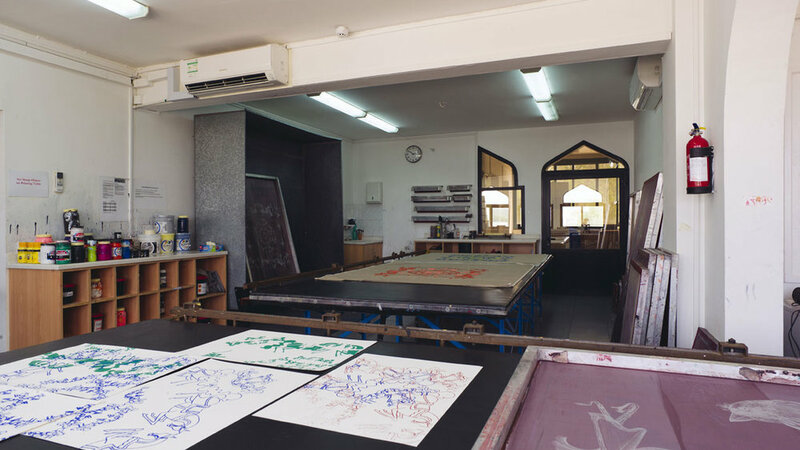 Established in Dubai in 2008 by Lateefa bint Maktoum, Tashkeel enables creative practice, experimentation and dialogue among practitioners and the wider community. I've spent a lot of time in Tashkeel during these 10 years. One of the things many artists in Dubai complain about is the lack of affordable studio space, and it's truly surprising we don't have more places like it now. I interviewed Lisa Ball-Lechgar (Deputy Director) and Jill Hoyle (Manager) for Tea with Culture podcast to talk about this, Tashkeel's role in the art community in the UAE, Reference Point: A History of Tashkeel, a publication looking back at the 10 years, and more.